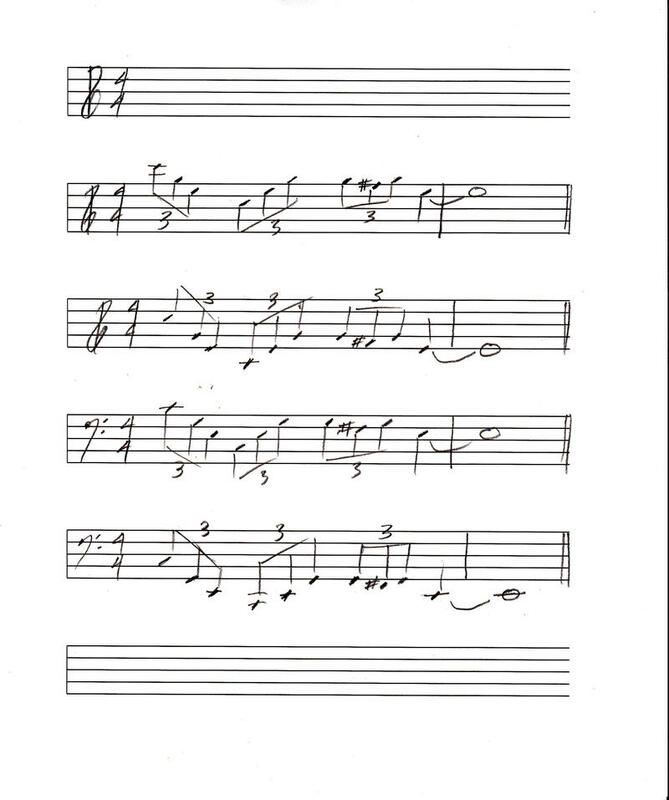 Today, quintet Sybarite5 performs Radiohead's "No Surprises." Welcome to day two of POP! GOES THE CLASSICAL Week. We’re just getting started in our exploration of musicians who live in both the traditional classical music world and the world of modern music. Sybarite5 is our featured ensemble today. They are a string quintet who play traditional classical, modern classical, and reinvent modern pop music for their ensemble. 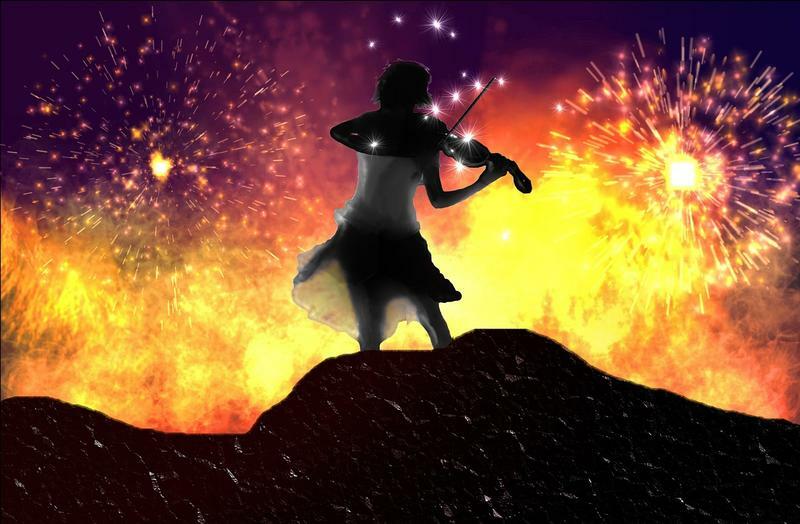 Sometimes they even weave traditional classical music in their modern pop reinventions! The word "sybarite" means a person devoted to luxury or pleasure. Sybarite5 says they purposefully choose music that they will enjoy playing the first - and thousandth! - time they perform it. Today, we'll hear their version of "No Surprises" by the rock group Radiohead. 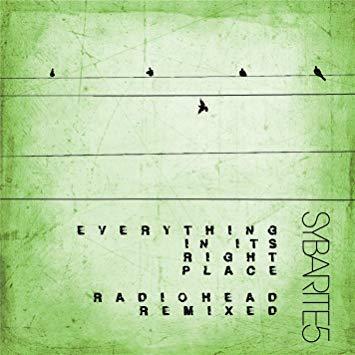 Sybarite5 enjoyed the music of Radiohead so much, they made a whole album of their music, "Everything in its Right Place." KC 221 - POP! GOES THE CLASSICAL WEEK - Tuesday: Today, we'll hear Sybarite5's arrangement and performance of "No Surprises" by Radiohead. Happy Monday, Kids Commuters! Welcome to POP! GOES THE CLASSICAL Week on Kids Commute from Interlochen Public Radio. This week, we have fun discovering musical ensembles that have traditional classical training and apply it to music that is popular today. Vitamin String Quartet is non-traditional string quartet. It’s actually run by a record company that uses lots of different artists, producers, and arrangers to create the music. The quartet started in 1999 making tribute albums. These albums were successful enough that Vitamin Records decided to make the Vitamin String Quartet official. They are still producing music and performing all over the place. Today, we'll hear the VSQ perform "Uptown Funk" by Mark Ronson and Bruno Mars. KC 220 - POP! GOES THE CLASSICAL WEEK - Monday: Today, we'll hear the Vitamin String Quartet perform their arrangement of Mark Ronson and Bruno Mars' "Uptown Funk!" Happy Friday, Kids Commuters! We hope you’ve enjoyed COPPELIA WEEK on IPR’s Kids Commute. All week, we’ve been hearing the story and listening to the music of this classic ballet by French composer L&ecute;o Delibes. Yesterday, Swanhilda performed some clever detective work and a heroic rescue. She saved Franz from having his life essence transferred into the Coppelia doll! Today, we’ll hear some “happily ever after” music for everybody (even the strange Dr. Coppelius - sort of). We’ll also answer our Quizlet! KC 219 - COPPELIA WEEK! 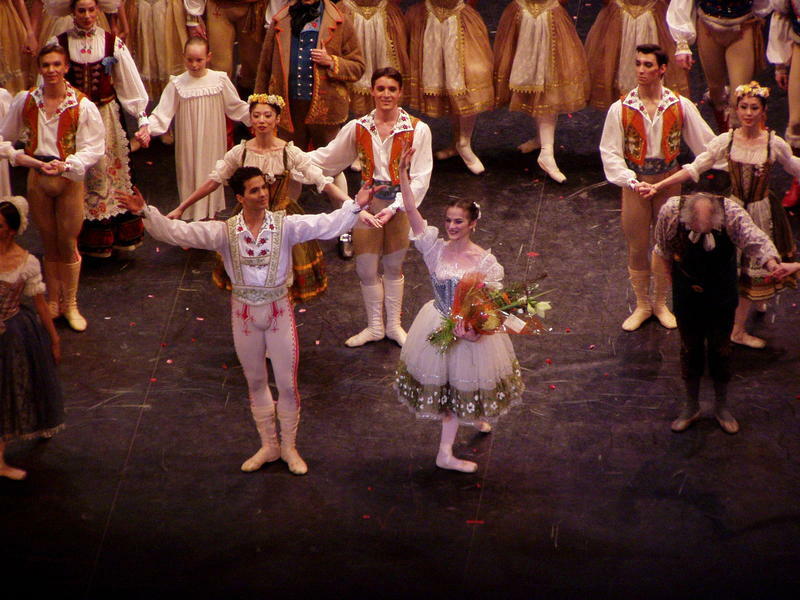 Friday: Today, we'll hear the big finale to the COPPELIA ballet, by Leo Delibes.